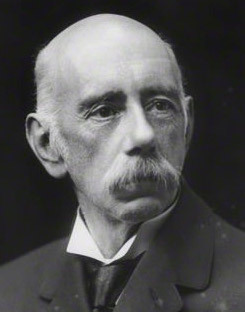 Ridley had been working at the British Museum when he was asked to take part in an expedition to Brazil; the experience he gained there led to his being chosen for the directorship of the botanical gardens at Singapore. He stayed in this position for more than twenty years, taking advantage of the post to familiarize himself with the botany of the surrounding regions. On retiring from the directorship he continued his natural history studies, living on for another forty-five years. Ridley is most remembered these days for three things: his monumental five-volume Flora of the Malay Peninsula, his key role in establishing rubber as a plantation crop in Malaya, and his interest in the agents of plant dispersal, study of which led to the publication of his important book The Dispersal of Plants Throughout the World in 1930. --born in West Harling Hall, Norfolk, England, on 10 December 1855. --dies at Kew, England, on 24 October 1956. --Biographical Memoirs of Fellows of the Royal Society, Vol. 3 (1957). --Oxford Dictionary of National Biography, Vol. 46 (2004). --Nature, Vol. 176(4493) (1955): 1092-1093. --Proceedings of the Linnean Society of London, Vol. 169 (1958): 35-38. --Taxon, Vol. 6(1) (1957): 1-6.